The current literature on poverty focuses intensively on objective poverty, which is based on household income, household consumption, basic needs, calorie intake or a multidimensional poverty approach. 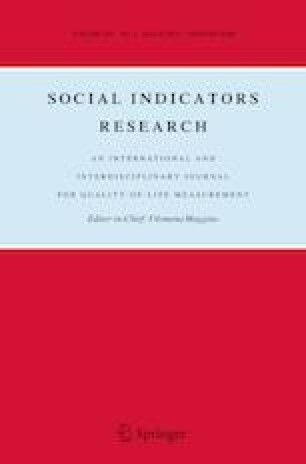 In contrast, this paper researches subjective poverty, which is compared with objective poverty measured by income in Pakistan. Using Pakistan Panel Household Survey 2010 data, where household heads classify themselves on a ten-point-scale from the poorest to the richest, we find that the determinants of subjective poverty (feeling poor) are not limited to household consumption, but include household size, household demographic structure, agriculture land ownership, sanitation facility, physical and food insecurity. In comparison with the overall non-poor, the objective poor and the subjective poor households are determined by different factors. Particularly, for households lying below the subjective poverty line, factors such as education, household size, own residence and physical security have a significant positive impact on the eradication of poverty relative to overall non-poor. In addition, the Spearman Rank test upholds that subjective poverty measure complements the conventional method. Thus, priority should be given to specific targeted determinants, which are more important in the alleviation of poverty, while making and implementing public policy given the limited available resources. See Tables 9, 10 and Fig. 1.